Faculty members and graduate students are invited to attend a drop-in session where they will receive hands-on assistance in setting up and populating an ORCID (Open Researcher and Contributor ID) account. In order for scholarly work to be found in a global network of researchers, it is essential to differentiate authors. ORCID makes this easy by attaching an unambiguous identity to publications, funding and other research activities. As researchers collaborate across disciplines, institutions and geographic borders, having a unique author or researcher ID ensures credit for your scholarly output. ORCID is an open, non-profit, community-driven effort to create and maintain a registry of unique researcher identifiers and link research activities and outputs to these identifiers. Many publishers and funding agencies now require or encourage authors to apply for an ORCID. If you are not able to attend these sessions and would like to schedule a one-to-one appointment, please contact Brian Cameron at bcameron@ryerson.ca or Naomi Eichenlaub at neichenl@ryerson.ca. Please see this video for more information about ORCID. Faculty members looking for a new venue for sharing research will want to know about FACETS, a new multidisciplinary, peer reviewed open access journal published by Canadian Science Publishing. The journal publishes articles in the biological sciences, biomedicine and health, environmental science, engineering, physical sciences, and integrative sciences (such as ethics, public health, science policy, sustainability, etc.). The creation of this journal is part of a larger shift in academic publishing away from traditional for-profit commercial publishers to an open access landscape that permits faculty members to retain copyright over their intellectual property and facilitate wider sharing of the results of their research. These and other open access benefits prompted the drafting of the Tri-Agency Open Access Policy on Publications, which now requires that research funded by NSERC, SSHRC, and CIHR be made open access. A major challenge for libraries supporting open access publishing is finding sustainable funding to support article processing fees (APCs). FACETS will charge an APC of $1350, which is less than most other APCs. The Ryerson Library provides some support for open access author fees via memberships with Biomed Central, the Public Library of Science, and Hindawi. For more information about open access publishing, the library’s open access author fund, and our Digital Repository, please see: http://learn.library.ryerson.ca/scholcomm. After some delay, the Tri-Agency Open Access Policy on Publications has been released. The policy requires that any peer-reviewed publication(s) arising from grants received from any of the three agencies (CIHR, NSERC, SSHRC) be made freely accessible within 12 months of publication. The new policy comes into force for any grants awarded after May 1st, 2015. It’s worth noting that CIHR has had an open access policy since 2008. 2) Deposit the final, peer-reviewed author version of your article in an online open access repository, such as RULA’s Digital Repository. It is important to note that option 2 does not require any payments to publishers, but option 1 might incur an open access article processing fee. 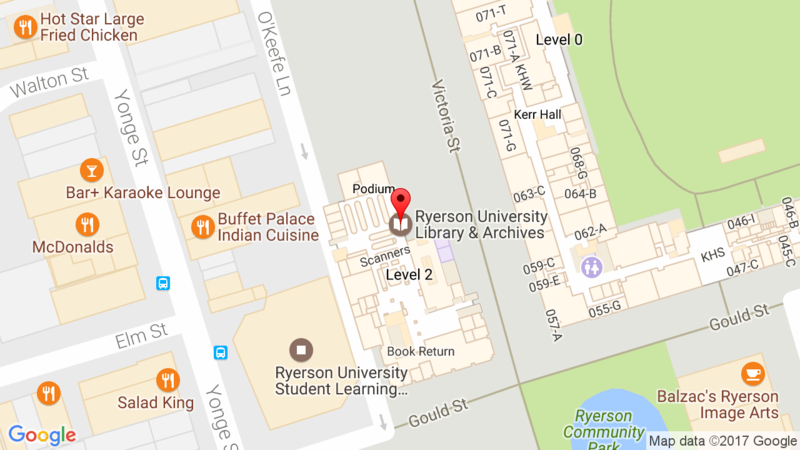 The Ryerson Library maintains deposit accounts, to cover open access charges, with PLoS, Biomed Central, and Hindawi. In addition, we accept applications for funding from other journals, subject to criteria outlined in our Open Access Author Fund policy page.